"In every outthrust headland, in every curving beach, in every grain of sand there is the story of the earth"
Thursday, Feb 2, 2:30 to 4:30 pm, at The FARM Institute, Katama. Join the Martha's Vineyard Youth Leadership Initiative and Brad Mitchell from the Massachusetts Farm Bureau Federation in a roundtable discussion of issues relating to government and local agriculture. Please RSVP at mvyouthleaders@gmail.com. For more information, contact the MA Farm Bureau at 508-481-4766, email the MVYLI (above), or see their website. Sunday, Feb 5, 1:00 pm, Chilmark. Land Bank staff lead a guided walk at Waskosim’s Rock Reservation in West Tisbury and Chilmark. The walk will last approximately 1.5 hours. Rain or shine, dress for the weather and wear sturdy shoes or boots. 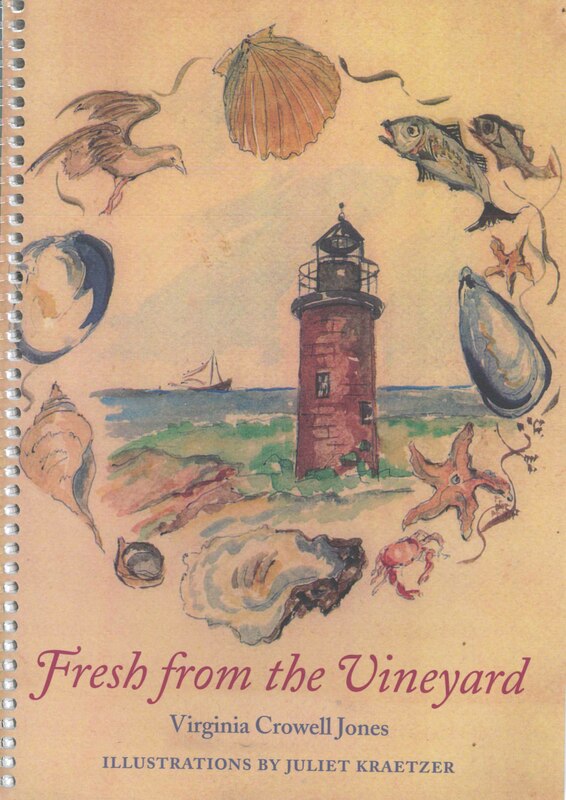 For directions and more information, see website or call 508-627-7141. Saturday, Feb 11, 10:00 am, at the Polly Hill Arboretum. Wednesdays, 3:30 - 5:00 pm. Collect eggs, visit the sheep and make a healthy snack. $15/session, call 508-627-7007 x103 to register. Fridays 3:30 - 5:00 pm. TFI's longest running program, FIT is a great way to end the week! Come to the FARM to help with chores, oxen training and working with the animals. $15/session, call 508-627-7007 x103 to register. Sunday Projects, 1:00 - 2:00 pm. Tackle farm projects every Sunday, including giving animals new bedding, moving & stacking hay, mucking stalls or moving livestock fencing. Children 10+ may be dropped off without a parent, but adults are encouraged to participate. Ginny’s book is frequently more about learning a different approach to cooking (or just looking at your regular approach in a new way) than it is a catalog of recipes, and her entry for quiche is a good example of this strength. 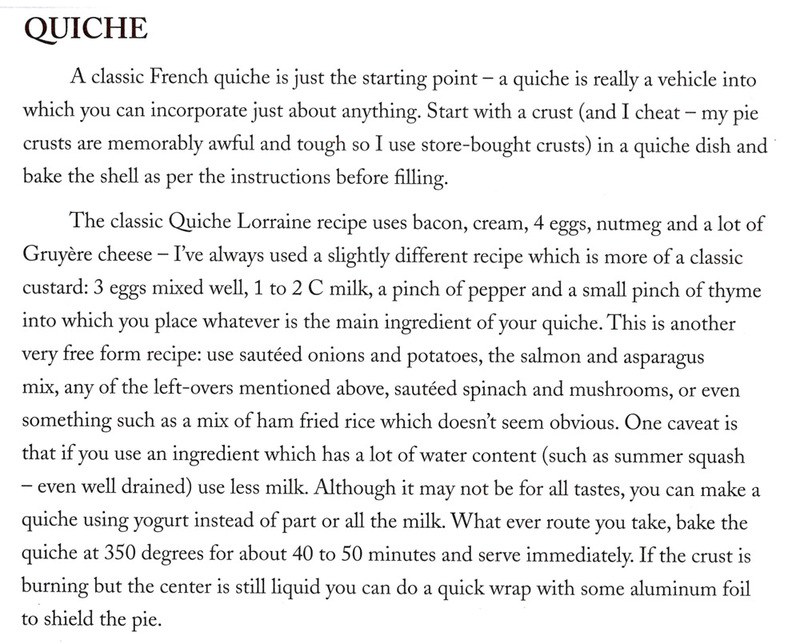 There’s a recipe in there all right (her take on Quiche Lorraine), but it’s far from dogmatic. Instead of a list of ingredients you may not be able to find this season, and most likely don’t already have in the fridge, what you get are suggestions for possibilities with just enough specifics (and words of encouragement) to make sure it comes out well in the end. Now, something for the experts seeking a new challenge: The quiche entry reminded me of an interview I heard recently with Chris Kimball, host of the PBS show America's Test Kitchen, where he applies the show’s problem-solving, mad-scientist approach to the near impossibility of making a professional quality pie crust.The secret ingredient: Vodka, and a lot of it (well, relatively speaking – half of the total ¼ cup of liquid). For a creative, but much more rigid approach to cooking (for example, you’ll need a food processor, but don’t dare add the liquid to it! ), see Kimball’s recipe and related interview here. The walk will be guided by Richard Toole, with additional flora and fauna observations (with a focus on bird diversity and habitat) from Margaret Curtin and Wendy and Robert Culbert. As with our other walks, expect about two hours, and cider and cookies will be available following the trip. And as always, it’s free! Please park at Featherstone and look for the VCS flags or signs. Dogs are welcome, but must be kept on leash. Stranded Marine Animals: Who Ya Gonna Call? IFAW volunteers carry a dolphin stranded at Wellfleet. 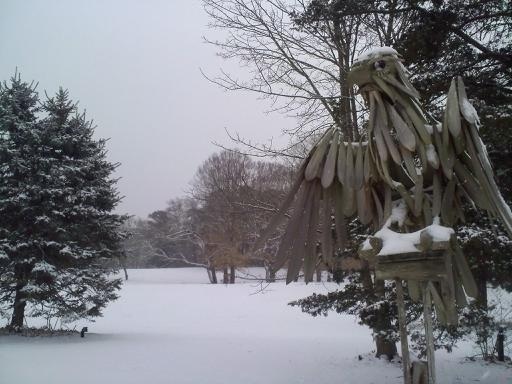 Photo by Christine Hochkeppel for the Cape Cod Times. "In just the last 12 days, at least 85 (and probably over 100) dolphins have stranded on our shores. They've come in waves as large as sixty at one time, and as small as a single lonely animal struggling to survive long enough for us to carry it to clear water. The numbers are staggering. At least fifty dolphins have died before we were able to reach them. . . . we've rescued and released twenty four stranded dolphins. Of course, not every release is successful, but as of today at least twenty one of those dolphins are still swimming free. " Friday’s edition of Cape Cod Times reports on the travels of the rescued dolphins, many of which have now made it to open water off the coast of Maine, and describes the electronic tagging methods used by the IFAW to monitor them. For a broader account of the strange string of strandings, see this piece in the N.Y. Times. It’s a story that, emotionally, defies categorization: uplifting, from the effort of volunteers to coordinate and do grueling work on short notice; tragic, given the suffering and death of highly intelligent animals; and confusing, as no one knows why they’re even there in such huge numbers. If you find a stranded dolphin (or any other marine mammal or sea turtle) here on the Vineyard, contact Dave Grunden, Oak Bluffs Shellfish Constable, at 508-693-0072, or Bob Prescott, Sanctuary Director of the Wellfleet Bay Wildlife Sanctuary, at 508-349-2615. If they’re not available, or if you see dolphins swimming dangerously close to the shore, call the IFAW stranding hotline at 508-743-9548. Professor Gary Greenberg has developed a technique to electronically combine images taken through a powerful microscope at many different focal lengths to recreate amazing 3-D photos of individual grains of sand. The above is just one of three of his images included in a short article in the Daily Mail. Even more images can be seen at Greenberg’s website – not only sand, but other wonders of nature, including flowers, fruits, sugar crystals, and the human body. Pesticide Residue and Colony Collapse Disorder: One of a Thousand Cuts?